will be possible with a later release of the rule builder. I want the same, I want to know the status of a location or a device without having to pull out my phone. Good list. Alexa status of device or all devices. Notifications of events would be way cool too. Eg, Alex, start Master Bed rule. Via the sensor, this would turn on the A/C (if the temp is below X or above Y), turn on the TV, close the blinds, turn on X,Y, Z bulbs. saxnix have you had your trip to the states yet, did you pickup your echo's. Yep, I have 2 of them. The kids love them. I had Ubi's in the past (1 of 5 is still functioning at this stage), but the kids could hardly ever get Ubi to trigger. Alexa is much, much better with the voice recognition, but there was so much you could do with the back end of Ubi. A combo of both sets of features would be perfect. Maybe that will be Google's Home solution. I have 2 dots on order (due for shipment in a month), and would then probably get a 3rd after that, but if Google Home announces more details, I might cancel those orders. Strike that, I just read that Google doesn't plan on releasing an API initially, so unless they plan to have some sort of rule tool, IFTTT etc, Google Home may not be that great for HA integration for a while. At least others are working to integrate Alexa in the HA world. Of course, adding these devices assumes that I will get a WW Relay and Sensors in the not too distant future . Fingers crossed they get things sorted soon. @all I hope this is true. I have been testing our echo support and having it in just one more room would cover my house everywhere. We are submitting for the WigWag skill to be in the Alexa app this week. Hopefully we follow all the rules and get approved quickly! Amazon just release the 2nd gen Dot!! Put in your pre orders now! It comes in white too!!! dont forget IFTTTT, this is what we need. my entire house runs on their recipies. The 6-Pack was a good option for me - buy 5, get 1 free. I will have one in every room. @yfaber Yes, We are applying to work with IFTTT. bryan, do you have an ETA for IFTTT and Alexa? We haven't heard back from IFTTT yet. Regarding Alexa, on the first pass they had some slight edits to our submission. So we resubmitted early this week. We have some larger edits planned but stuck to just their feedback so hopefully very soon. I'm wondering if Alexa competitor "Google Home" may be a better way forward. Unfortunately, my main concern is Google's haphazard approaches to the hardware business. Even if Google Home hardware exists only briefly, I would expect much more Open Source software releases from Google (compared to Amazon), permitting all the relevant code to run on a RasPi3. Our custom skill is now available for Alexa! We will post more details on how to use it (utterances, terms, etc) in the next few days. 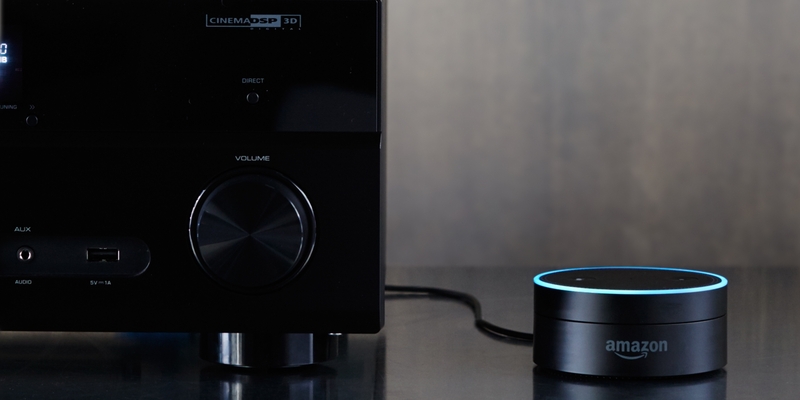 For those of you that have your relay and Alexa, please go ahead and add the skill to your echo and let us know your experience in using it. We will take your feedback and try to add it to the skill in for future updates. Please also note, updating a skill for Alexa isn't as quick or easy as posting a new version of an iOS or Android app. It will take a few weeks to incorporate your feedback and submit for formal approval from Amazon. It then will take a few more weeks to have the update approved or denied. So it is important to get any of feedback you have as early as possible.